I will find you, and I will loot grind you. Hey there! 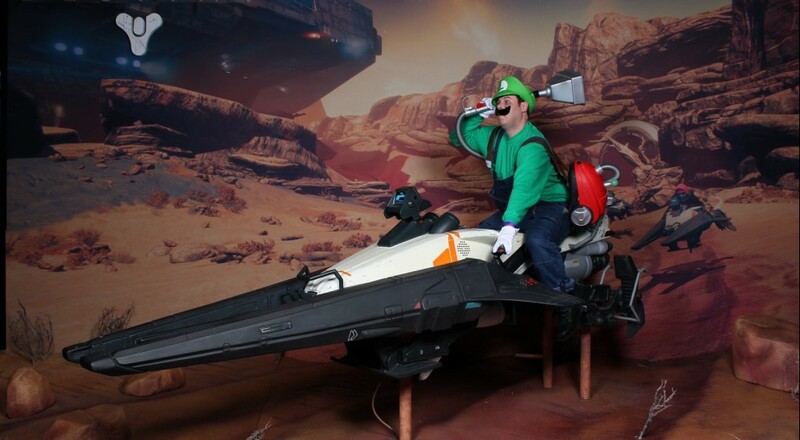 Enoch here, your guide to all things Weekend in Gaming. The most obvious choice for our government-mandated vacation time is Destiny's new "The Taken King" expansion. Thankfully, some of our staff isn't legally insane, so we're also playing virtual hockey, sneaking into military compounds, and and piloting poorly designed space stations. Check it out, and be sure to catch F.A.L.C.O. tonight at 9PM CDT! Nick Puleo (@NickPuleo) - "Probably some NHL 16 and SMITE." Jason Love (@JLove55) - "Diving further into the many nooks and crannies that suddenly are a part of Destiny now, and maybe a board game or two." Mike Katsufrakis (@Pheriannath) - "Unlocking the secrets of the Dreadnaught in Destiny." Marc Allie (@DjinniMan) - "I will be clicking and looting like crazy in Diablo 3. The new patch is the best ever." Eric Murphy (@smurph_em) - "Bobby and I will be playing Splinter Cell Blacklist tonight for F.A.L.C.O. at 9PM CDT. It should be interesting since I've never played a Splinter Cell game before. Prepare to laugh at my expense." John Bardinelli (@itsamejohn) - "Grabbed Undertale, an adorable little RPG that I can't wait to play until my eyes hurt." Sam Tyler (@thereelsamtyler) - "I picked up Castle Crashers: Remastered and am enjoying replaying it online. Also I will be avoiding anyone paying real money for extra snowballs in Frozen: Free Fall." Locke Vincent (@LockeVincent) - "Trying to give my dowry to the Taken King in Destiny, while going back to Act of Aggression for video review things." Tally Callahan - "Noooo idea. Probably finishing up Episode 1 of Eon Altar. Anyone's guess beyond that." Taylor Killian - "More strapping balloons to potential allies and hoping they don't end up in the arctic for me in Metal Gear Solid V."
Enoch Starnes (@enochstarnes) - " I'll be navigating the cosmos in both Lovers in a Dangerous Spacetime and Destiny." Steven Merced - "I hope to dive into FIFA 16, test out the NBA live demo (pretty sure that will make me cry with sadness), maybe some Destiny and some Evolve. My gamer tag is 'geekedoutgaming' on XBOX One and 'geekedoutsteven' on PS4. Add me pls." So, is this new Destiny patch just what the doctor ordered, or are you ignoring medical protocol and taking part in non-loot-based activities? Let us know in the comments!